Figure 1: Division of the Nubian Plate, after Bird (2003). 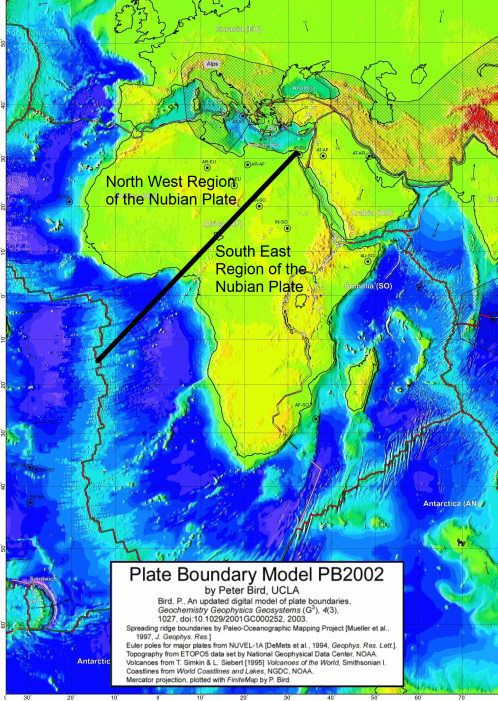 The solid black line demarcates the division between the North West Region and the South West Region of the Nubian Plate. Bird, P., 2003. An updated digital model of plate boundaries. [Los Angeles, California, USA]. Geochemistry, Geophysics, Geosystems; AGU and the Geochemical Society. Vol 4, 1-52.